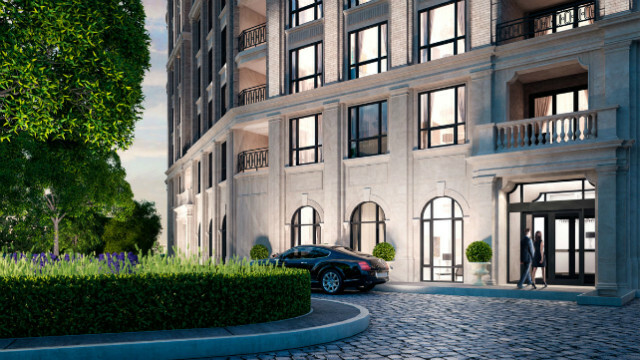 It’s not every day you hear about a new flatiron style building getting approved and prepared for construction, which is why we are very interested in North Drive’s new boutique condo in Toronto, 4 The Kingsway. North Drive enlisted the creative services of architect Richard Wengle, known for his custom Toronto manors, and the award-winning Brian Gluckstein to design the vision and unique aesthetic of 4 The Kingsway. The result is a Beaux-Arts look, mixed with some elegant modern touches. Like the two landmark flatiron buildings in Toronto’s St. Lawrence Market area, 4 The Kingsway will stand as a new landmark for the community at Kingsway and Bloor Street West. 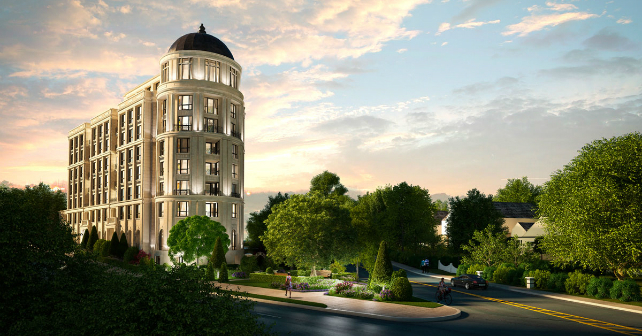 Rising eight storeys, featuring stone cladding and a turret capped with a zinc-clad dome, 4 The Kingsway is unlike any new condo that the city has seen in recent years. The Kingsway area offers the ideal combination of historic architecture, lush greenery, and walkable amenities. Kingsway Village and Bloor West Village feature shops and cafes, and Old Mill Subway Station is only a few minutes away by foot, so access to downtown Toronto is very easy. A few of the closest parks are King’s Mill Park, Home Smith Park, and the expansive High Park is just a few subway stops away. 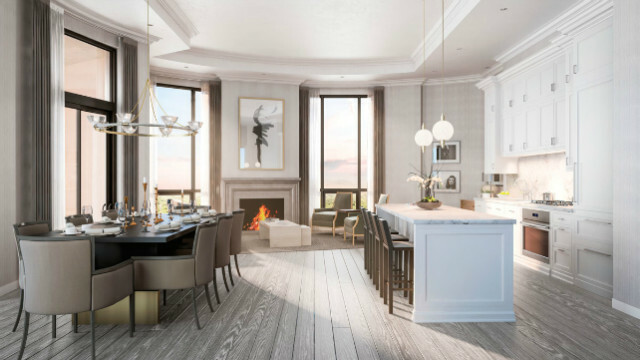 There are only 30 suites and five townhomes at 4 The Kingsway, with one-, two-, and three-bedroom plans available, ranging from 1,291 to more than 3,000 square feet. 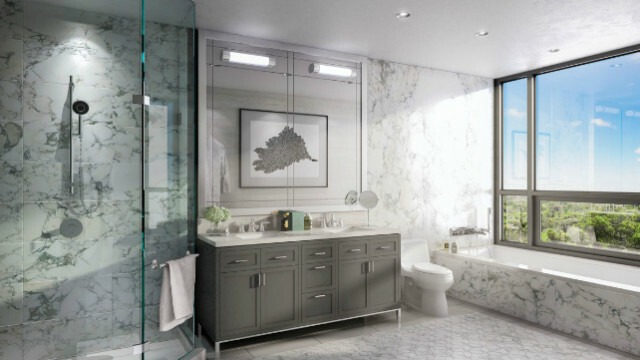 Some interior features and finishes include open-concept layouts, libraries, glamorous five-piece ensuites, intricate marble mosaic flooring, and high-end Wolfe and Sub-Zero appliances in the gourmet kitchens. North Drive has seen a lot of interest from downsizers who are currently residing in or are familiar with the Kingsway community. There really is a strong demand from people who love the neighbourhood but no longer want the responsibility of maintaining a single detached home. As mentioned above, 4 The Kingsway is fully approved and will be starting construction this spring! 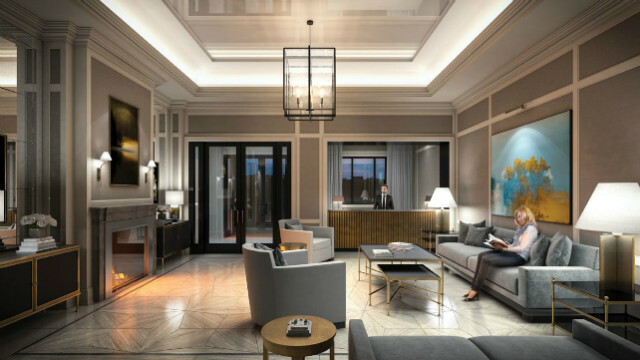 To receive updates about this new, unique landmark condo leading up to the release of the suites and townhomes, call 416-236-2992. Prices range from $1 million to more than $3 million.